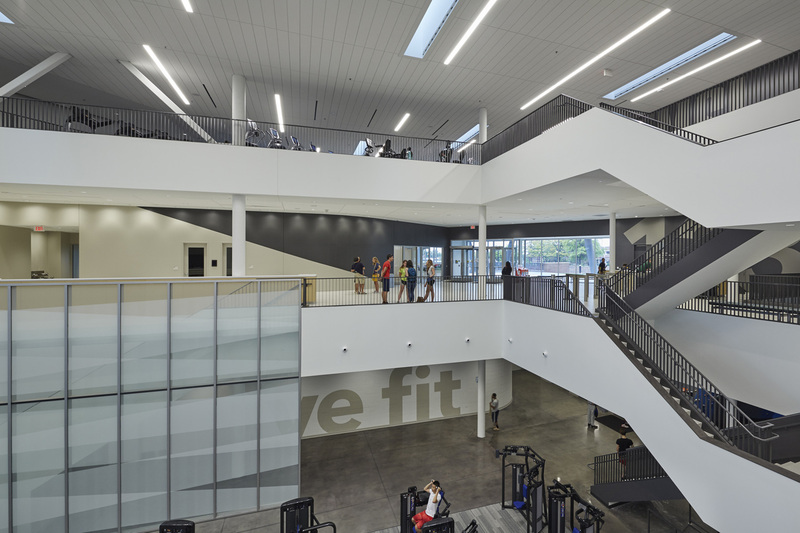 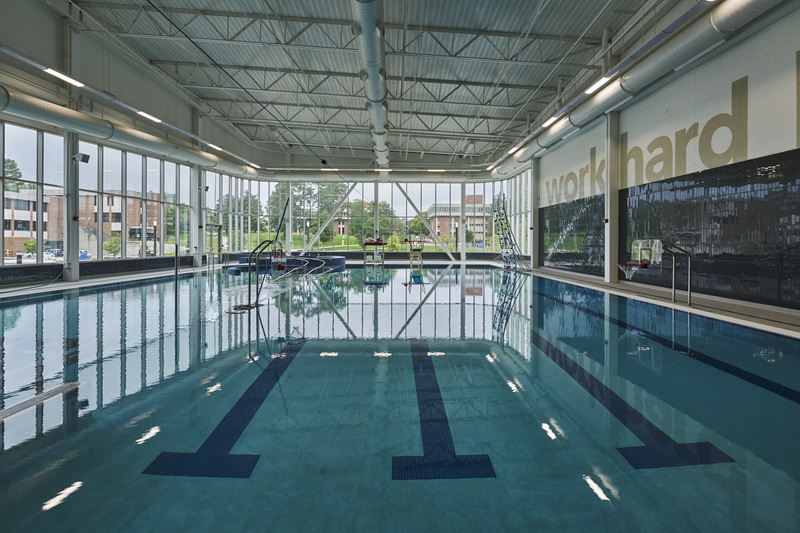 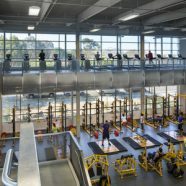 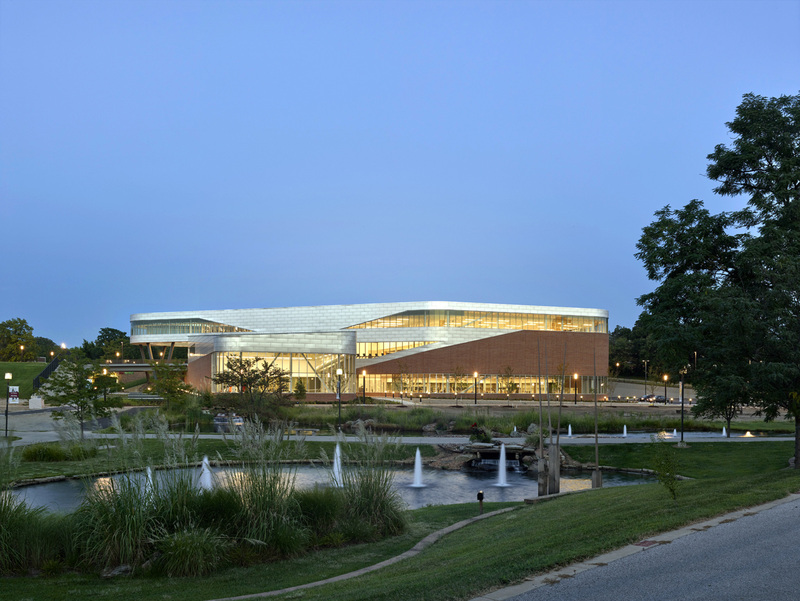 The University of Missouri-St. Louis Wellness and Recreation Center is a unifying force on campus, helping connect previously disparate pieces into a cohesive, dynamic student recreation experience. 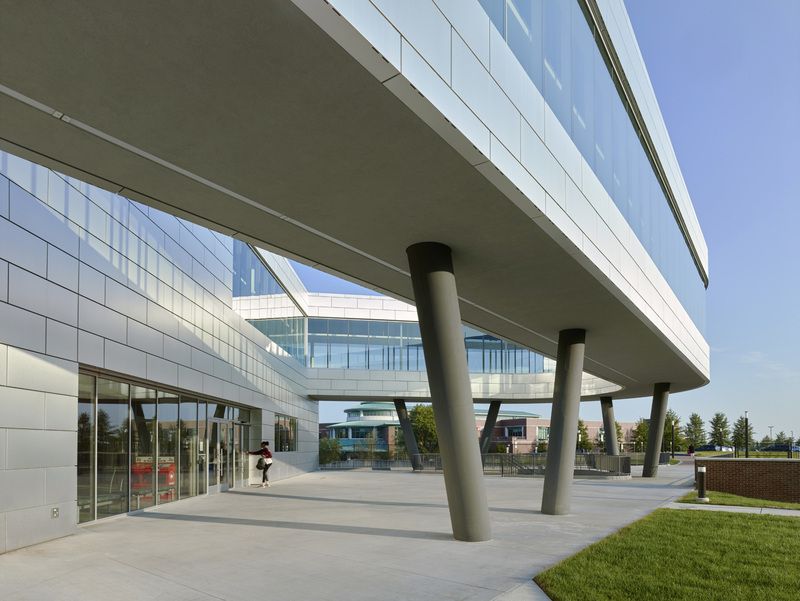 The new center is located in the heart of the university campus and its design establishes a bold new campus architecture that will guide UMSL into the future. 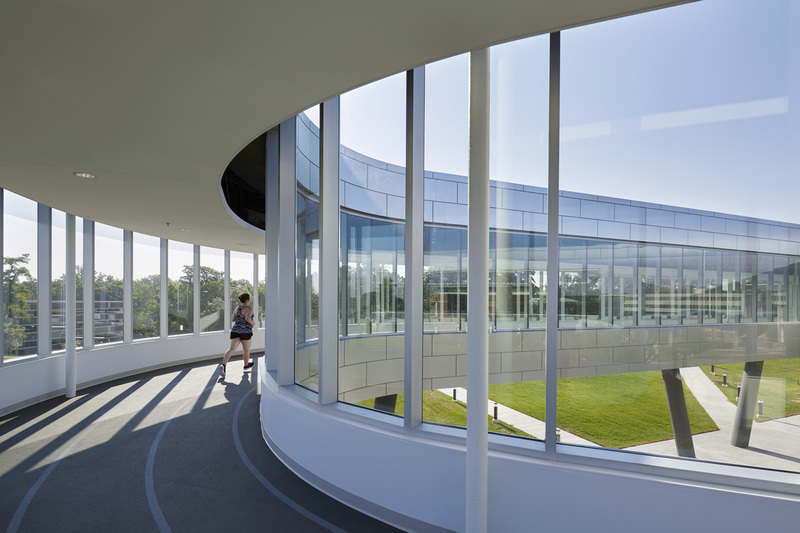 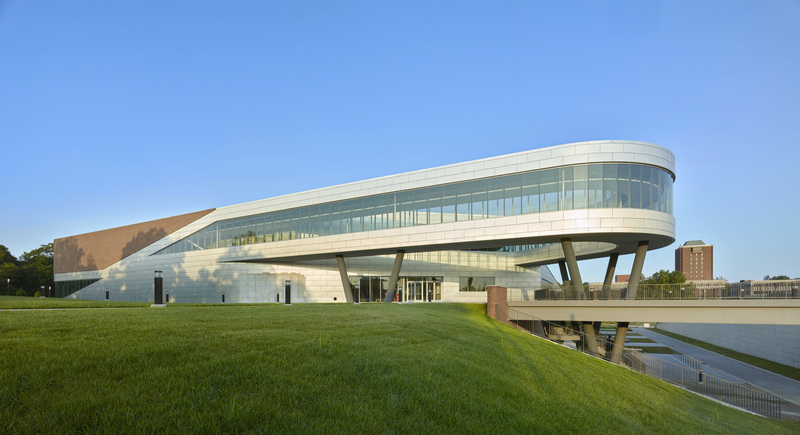 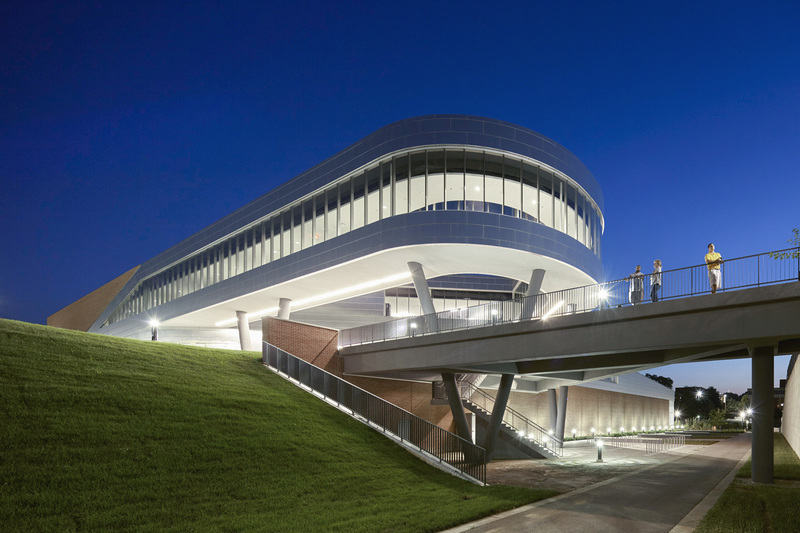 The building responds to its natural topography and introduces a new bridge spanning a regional bicycle trail that connects the entry level to the nearby student center. 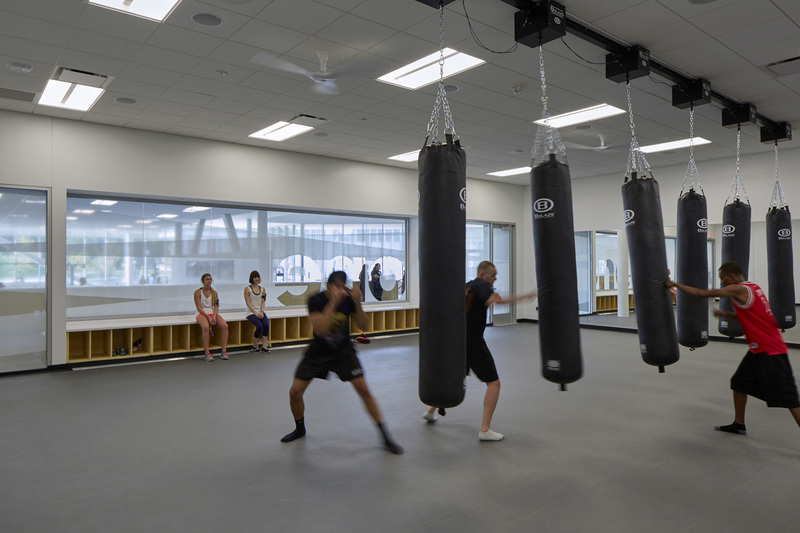 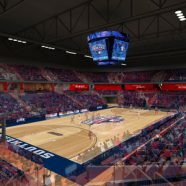 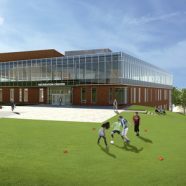 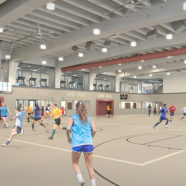 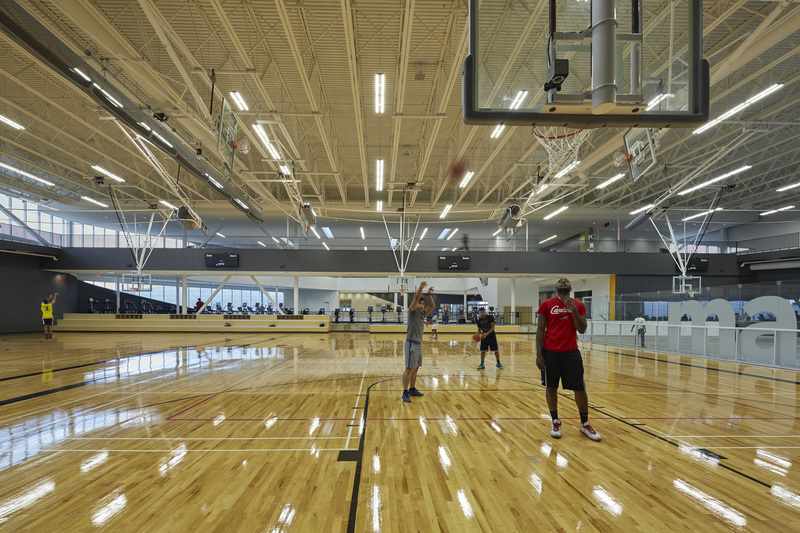 Programmatically, the recreation center includes several new spaces including a three-court gymnasium, an indoor fitness/recreation pool, expansive weight – fitness areas, four group exercise studios and more. 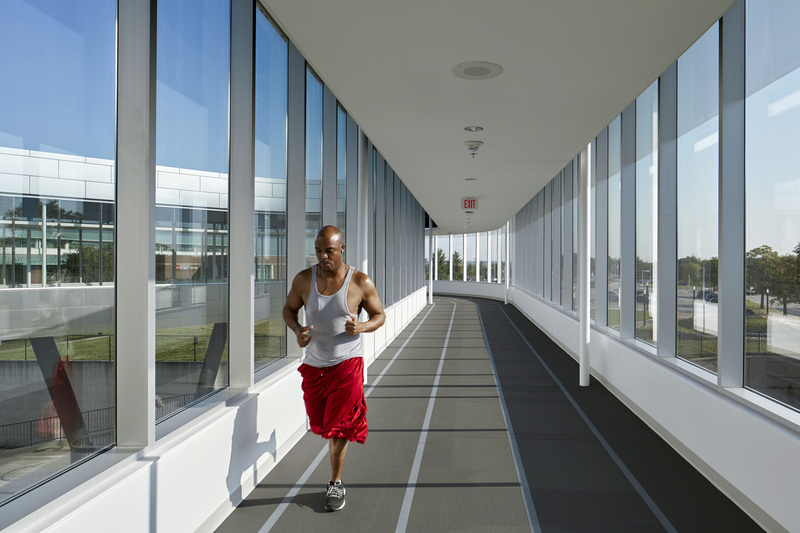 One of the many unique features is the three-lane jogging track that provides an optional two-lane extension with elevation changes for those seeking a more challenge workout. 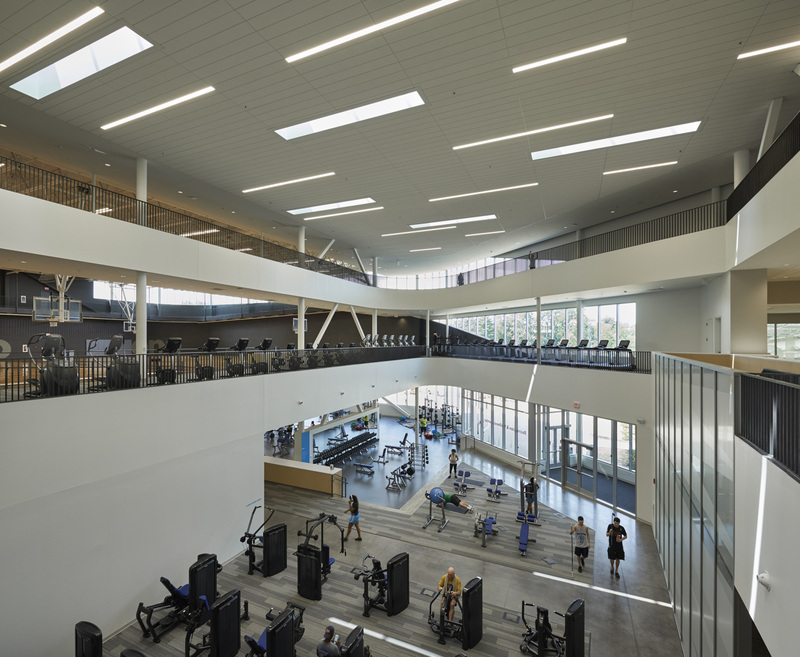 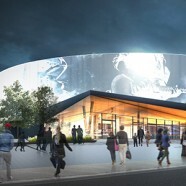 Other features include a state-of-the-art aquatics facility, group exercise for martial arts, dance and other fitness class, a juice bar, and a two-story climbing wall.